This exercise rope has digital display. 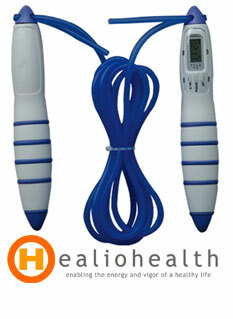 This digital jump rope strengthens the chest, arms and legs. This speed jump rope is great for indoors or outdoors.